I promised you more poetry. I promised you more intimacy and openness. I promised you words of beauty by other poets and words attempting to be beautiful by me. Here is where I make good on that promise. I went to Oregon and returned with a head full of inspiration and a journal full of poems. 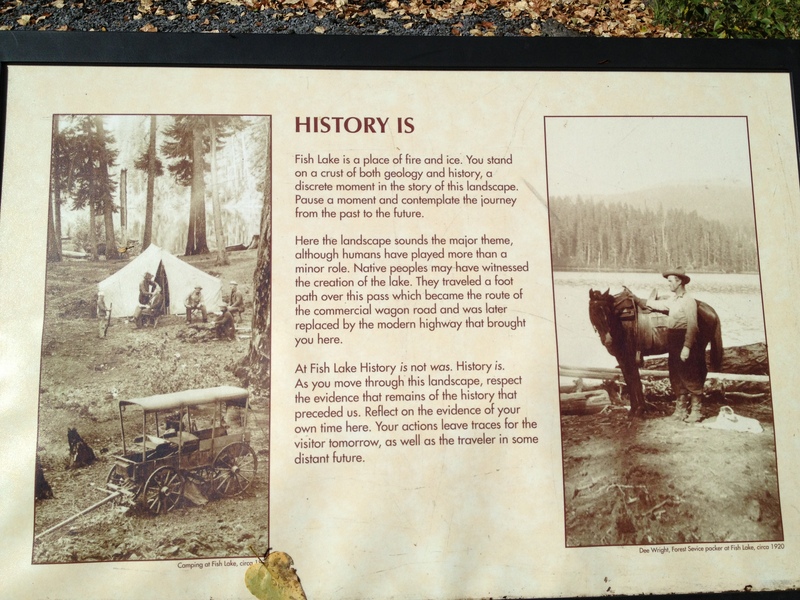 Here’s one about what I found in Fish Lake, which held neither fish nor water. an easing of the long stretch of dryness life has become for both of us. long before reaching our desert home. 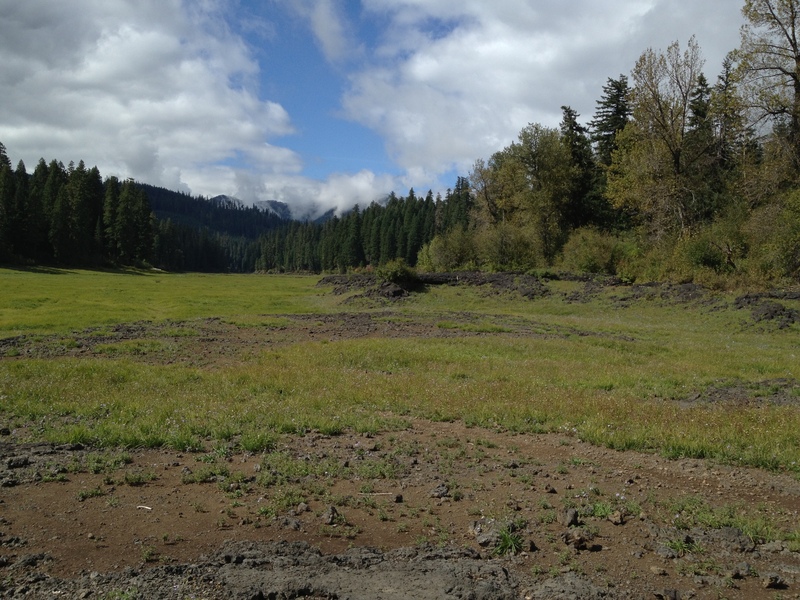 that once was a lake. But he left no meadow. There are no Purple Blossoms in his stead. for the inevitable return of the storm clouds. I want to build her shelter. and I cannot stop the seasons from changing. November will come and my shelter will crumble. My heart will break again. But she could be a constant. Love could be a constant. in an empty, dry lake bed. 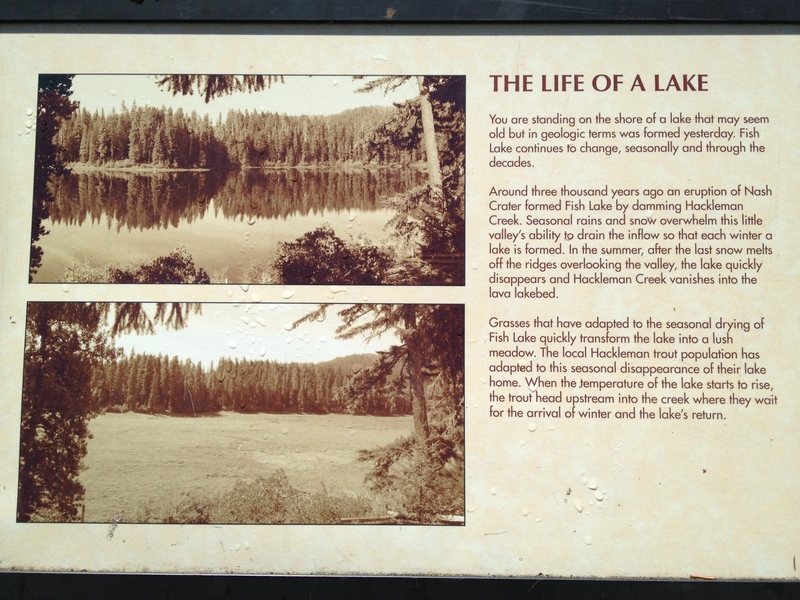 Before writing my poem, I happened upon a billboard, explaining Fish Lake and displaying Mary Oliver’s When Death Comes. It felt appropriate, not only did Alex (with whom I was traveling) first introduce me to Mary Oliver, but we had just the night before spent a long while talking about the glory of her poems with a group of my friends. So many of Mary Oliver’s poems fill me to the brink of bursting with inspiration, a warmth rising in my stomach and shouting at me to be as I am meant to be: wild and free. This poem came to me at a moment I desperately needed to feel the flame of desire. This poem inspired me to not only be a visitor of this dry lake bed of life, but to walk boldly into its depths, let the water flow around me, and write down all that I felt. It reminded me of what my soul yelled at me the day I watched my brother die, the thing I promised myself I would do before I too faced my inevitable immortality: write, as often as possible, as truthful as possible, share with the world everything living inside of me. So I did, in the above poem. I want this plastered on my wall. 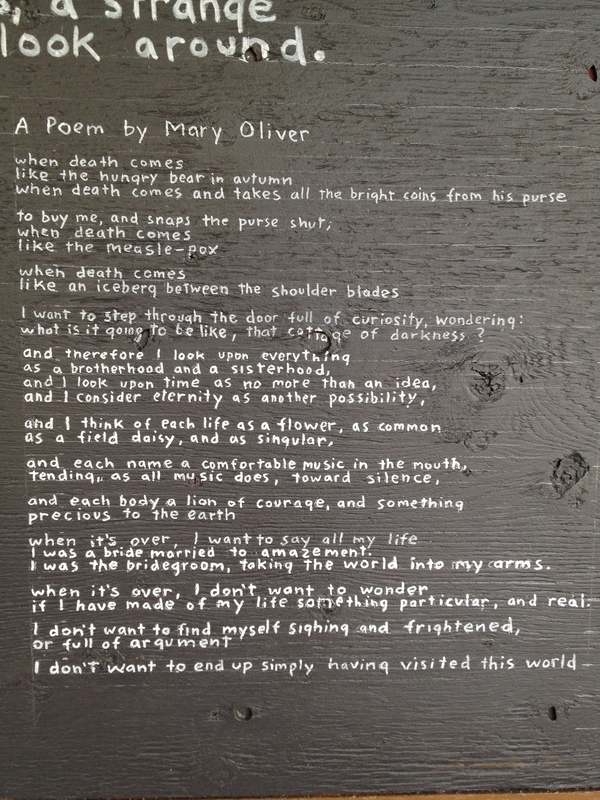 This entry was posted in Personal, Poetry, Travel, Words and tagged Alex, Andrew, grief, inspiration, intimate, lakes, love, Mary Oliver, nature, Oregon, personal, Poetry, When Death Comes. Bookmark the permalink.